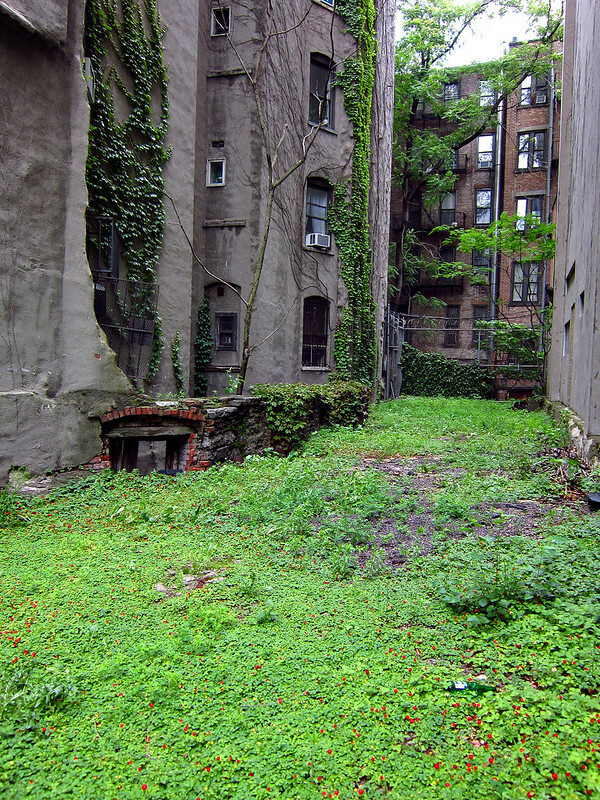 Each time I walk past the vacant lot on the north side of E 6th Street, just east of 1st Avenue, I fantasize about building a little log cabin in this fairy wood. On this day of torrential rain, the ground cover is lush and green. But, there's something more going on here...look closer. I've seen them here and there in the community gardens, but never in an unattended space like this. And the lot is filled with them. The birds and mice will have a field day. Loved these photos and the strawberry surprise! Have a great weekend! 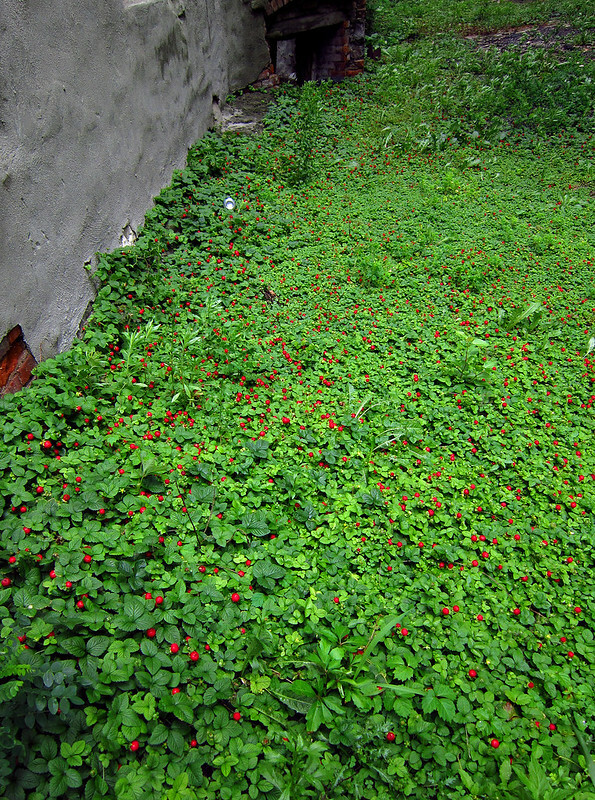 Wow ... a carpet of strawberries. Are these tiny ones? 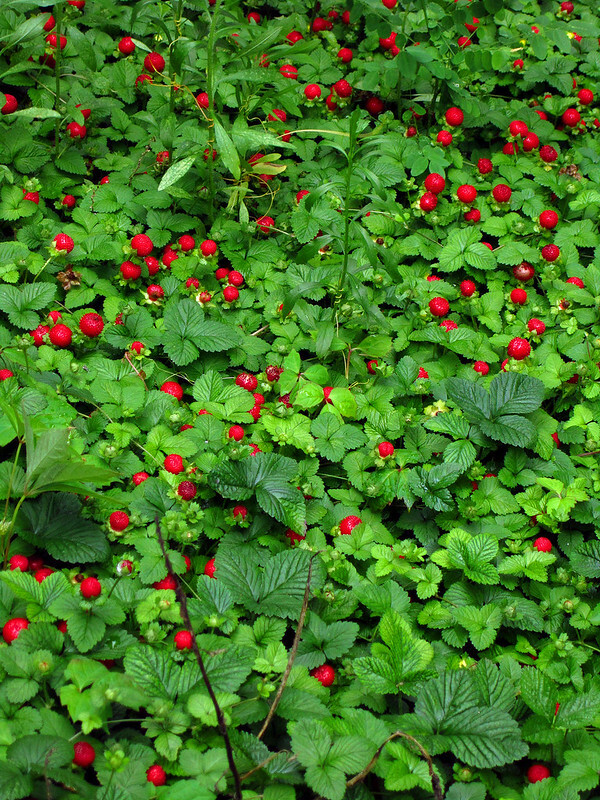 Look like some alpine strawberries I have in my back yard. They grow voraciously! Yes! It was so refreshing to breathe in the air from this lot. Yes, these are tiny, about the size of a fingernail. I don't remember seeing them before this year, but I also spotted some in Tompkins Square Park. If I were there I would be sitting in the middle of the patch covered with strawberry juice, eating and moaning with joy.